TRANMERE Rovers: Davies 6, Ellis 5, McNulty 4, Monthe 4, Caprice 4, Harris 4, McCullough 5, Gilmour 5, Ridehalgh 4, Norwood 5, Jennings 5. Subs: Mullin N/A, Banks 5. 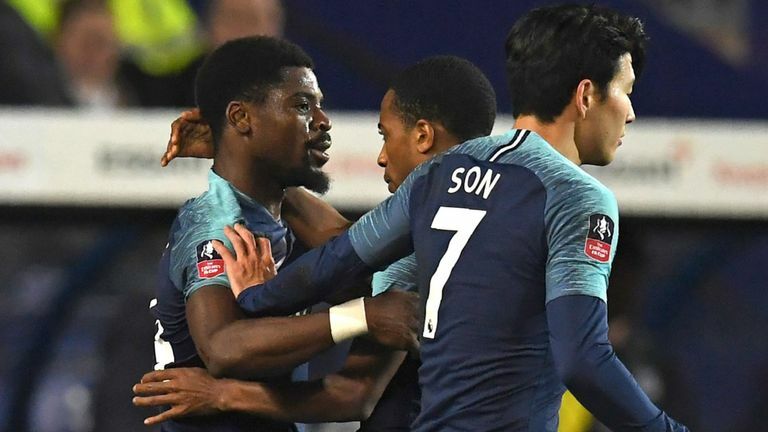 Tottenham Hotspur FC : Gazzaniga 5, Aurier 8, Foyth 7, Sanchez 6, Davies 6, Walker-Peters 6, Skipp 8, Alli 8, Lucas 8, Son 9, Llorente 8. Subs: Eyoma 5, Marsh 5, Kane 7. 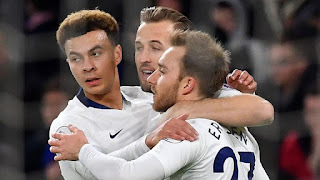 This is the first meeting between Tranmere and Tottenham in any competition since the 2001-02 season - Tottenham won 4-0 at Prenton Park in the League Cup third round, and 4-0 at White Hart Lane in the FA Cup fifth round. Tottenham are unbeaten against Tranmere in eight previous meetings in all competitions (W6 D2), knocking them out of the FA Cup in 1952-53 (9-1 in a replay) and 2001-02 (4-0). Tranmere Lineup Davies, Ellis, McNulty, Monthe; Caprice, Harris, McCullough, Gilmour, Ridehalgh; Norwood, Jennings. Subs: Passsant, Bakayogo, Buxton, Sutton, Stockton, Mullin, Banks. TOTTENHAM Hotspur Lineup : Gazzaniga, Aurier, Foyth, Sanchez, Davies, Walker-Peters, Skipp, Dele, Lucas, Son, Llorente.